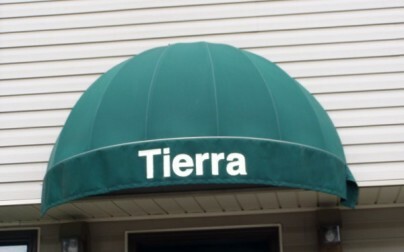 Awnings help identify your business with logo and graphics or just provide shelter as you enter your business. 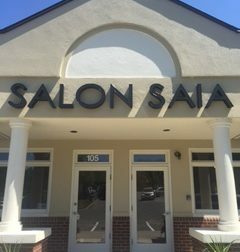 We provide sign and awning services to fit your business’ needs! Traffic signs and road signs are used to help you find the exact location you need. 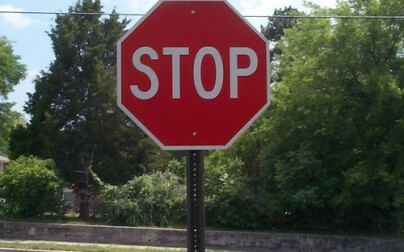 We provide all types of traffic signage from stop signs to custom road signs with poles and hardware. Let us make your commercial or residential area convenient and safe to all your visitors and residents. We can also design custom traffic signs with your unique logos to leave a lasting impression on your visitors. 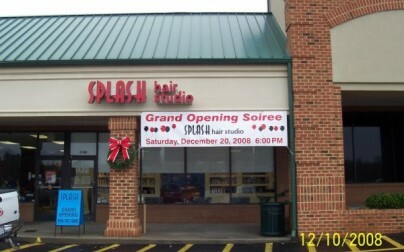 Vinyl banners and other custom banners can get your business the attention it needs for a special event or every day. They can provide temporary signage while your permanent signage is being made. We also can make a retractable banner, table throws, custom flags or other custom banners for your location. Whether you are looking for tradeshow banners, storefront banners, interior signs, outdoor banners or anything else, Signarama/Raleigh can help! We help guide you along the way by making recommendations for your banner sign, selecting full color options for any size. 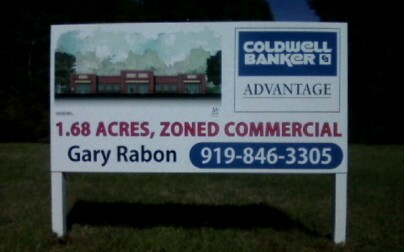 We can create unique custom real estate signs for you from the simple 18×24 to a large post & panel. A custom yard sign or sidewalk signs also provide an easy and economical way to advertise your business or service. Plastic A-Frame signs are a great way to promote your sale or special event. Corrugated Plastic signs can contain a lot of information in a small space or capture your customerâ€™s attention. Choose from a wide variety of styles for your custom yard signs or realtor signs. 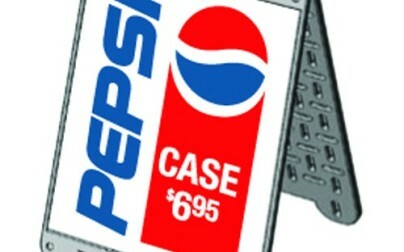 Add full-color vibrant graphics along with your custom logo and colors, for the perfect portable advertisement. Post and panel signs provide a cost effective solution for many types of outdoor signs. These signs are commonly used in commercial markets for business identification and promotion purposes. 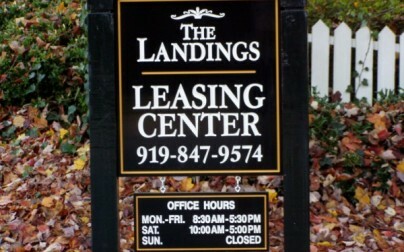 Post and panel signs, sometimes called site signs, real estate signs or lease signs, are a cost effective way to get your message across in a big way. 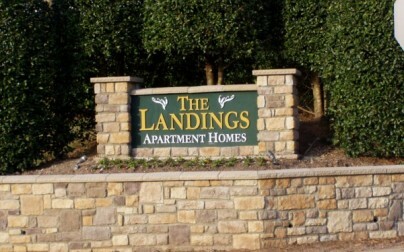 Whether you need lot signs, apartment signs, or a neighborhood sign, we can customize the signage for ideal exposure. Let us design your site sign with full color graphics and even photographs for the best looking real estate signs around! These custom wooden signs have been a sign industry standard. Carved, routed or sandblasted, these types of signs have a classic elegance. You can use this type of wooden sign to dress up any entrance or storefront. New wood-like products that look like wood, but are actually a high-density urethane (HDU), allow you to have the traditional wood carved sign look without the maintenance. HDU will not rot, peel and crack like wood, but can be routed, carved or sandblasted just like wood. 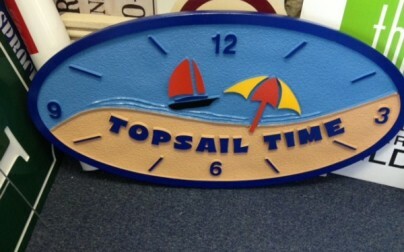 We can custom carve and paint the wood carved signs to meet your needs. In addition to our custom made and custom painted wood signs for your primary house, we also offer custom beach house signs for the summer! A beautiful monument sign can help you make a memorable impression. 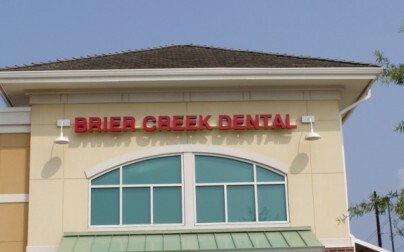 We work with you to design and create a monument sign to best fit your location and budget. 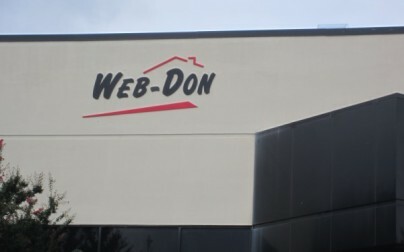 Whether the monument sign needs to be brick, stucco, or aluminum, we can help build a durable, elegant sign that will create a lasting professional identity for your business or residential area. Call today for a consultation! Monument signs and neighborhood signs are the large sign structures that anchor a business or mark the entry into a subdivision. They reflect on your business and can be influential in drawing customers into your business. Many times this style is used for neighborhood signs, apartment signs, or other professional looking signs for businesses. There are a myriad of styles from sleek, corporate looking to quaint, eclectic and outdoorsy styles. These can be themed to match your building, incorporating brick, stone, stucco, aluminum and more. Drive traffic to your business with illuminated signs, neon light signs, monument or channel letter signs. Day or night, illuminated signs are easy to see. Whether you need led signs for business to other types LED sign lighting, we can design the best sign for your budget and business needs within the illuminated signage critieria. We provide the best custom channel letter signs and illuminated signage in the greater Raleigh Durham area with an experienced team here to serve you.